Whether men consciously acknowledge it within themselves or not, society puts a lot of expectations and pressure on our men. Be manly, be brave, and don’t show any signs of weakness or vulnerability. Bring home the bacon, feed the family, work hard and don’t complain. While a lot of men do this seamlessly from the outside, very few will put their hand up to say, “Hey, sometimes, this is tough! !” And even fewer will then be able to express or share their feelings of frustration, stress, feeling trapped, bored and just “meh” about their day to day lives. When we don’t have an outlet for these feelings, we find a strategy to dismiss or cope with them instead. Enter Beer O’Clock! 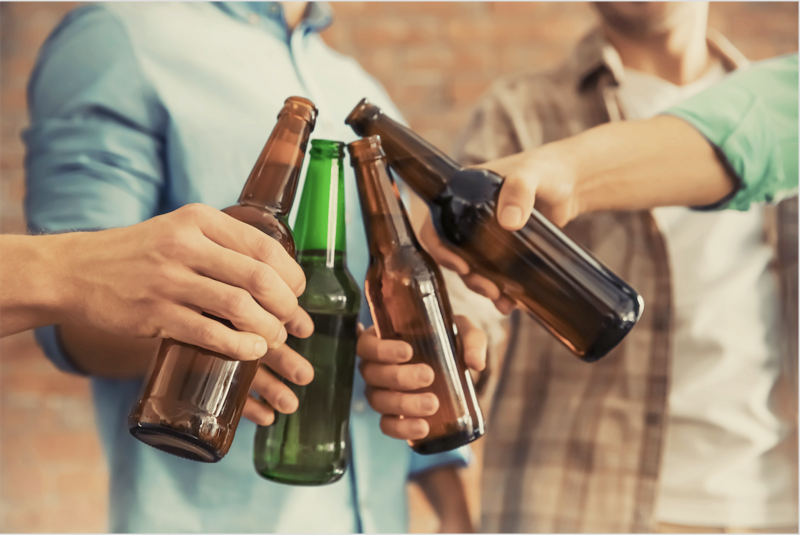 I’ve spoken with many men who are confused as to why, when they are trying to improve their health or lose weight, they just can’t seem to drop the 6 beers after work. This is because the 6 pack is providing them with a foolproof way to de-stress, to numb emotions and find a little pleasure in their day. If we can’t find a replacement for this strategy, it will continue. So get curious fellas! Be honest with yourself, what is the 6-pack providing you with at the end of the day and what other ways can you fulfill that need? If you need more pleasure in your life, is it time to move on to another more fulfilling and challenging job? If you need to de-stress, can you try meditation, exercise or debriefing your day with your wife over dinner? And if you have some emotional issues brewing, can you reach out and ask for help rather than letting them stew and consume you? Because no matter how many beers you have, it’ll only ever be a band-aid fix.